Like most of you lovely crafters, there’s nothing I love more than japanese washi tape. 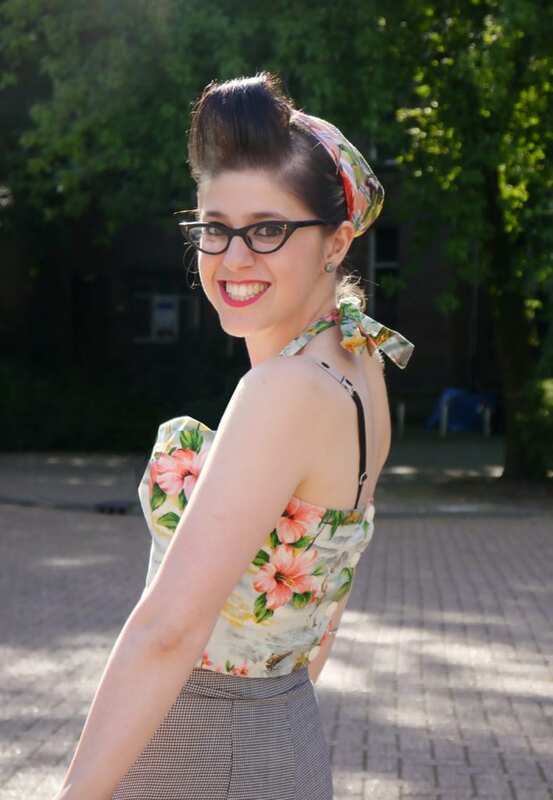 So many pretty colours and patterns – the joys are endless! 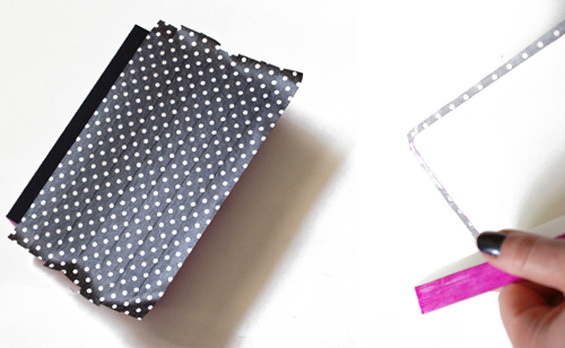 We thought we would share a little series of washi tape DIY projects to celebrate of our favourite holiday… And our first one has come in particularly handy for keeping note of our adventures! 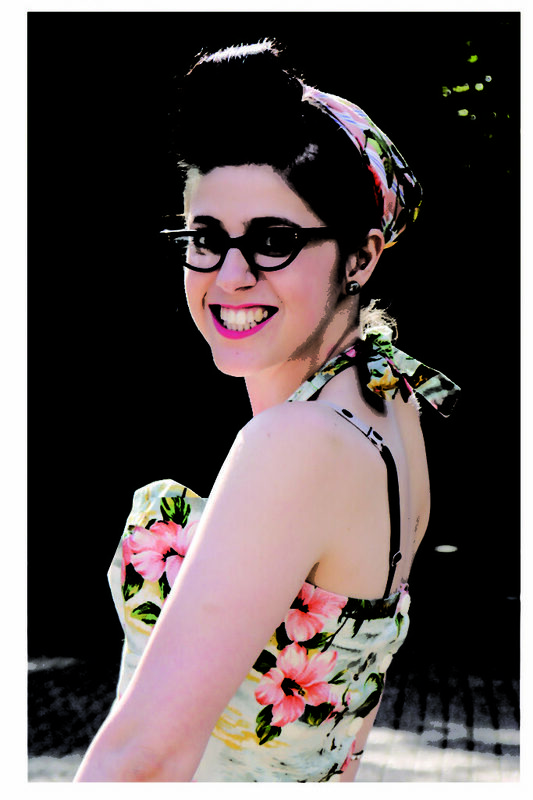 All you’ll need is some washi tape, scissors, a marker pen, a bulldog clip and some letter stickers. You can always improvise if you don’t have the stickers too – anything’s possible here! 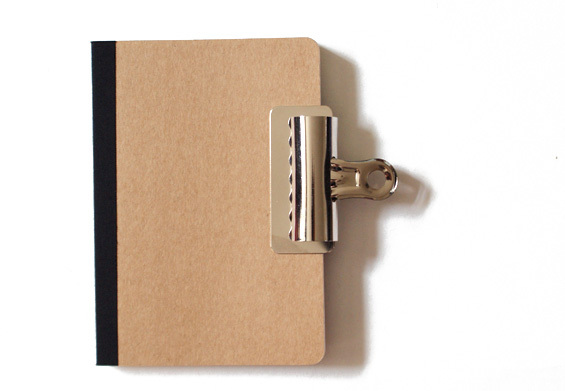 Start by using your bulldog clip to hold your notebook closed. You want the pages of your book to be tightly bound together but not warping. 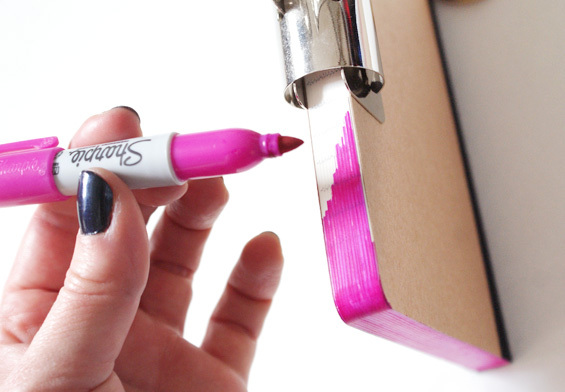 This will prevent your pen from slipping and ink going all over the paper inside. Using your marker pen, slowly and gently colour in all around the paper edges. 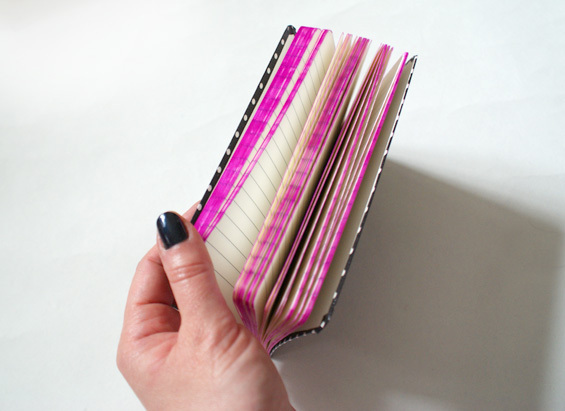 Don’t worry if the ink seeps into the pages a little here that as gives your custom notebook more character! 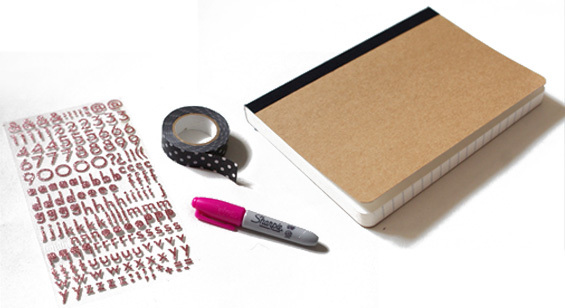 The easiest way to do this is to stick down lengths of tape that are longer than your book. Make sure each line of tape is straight and matches up – you don’t want to leave any gaps. When you’re done, trim all the way around your book using sharp scissors. Leave a few millimetres of tape all the way around. 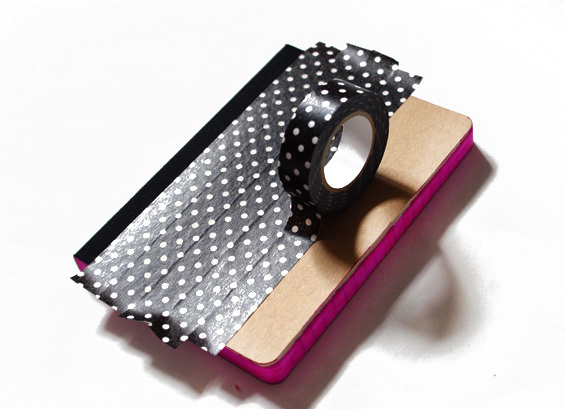 Finally, fold down all the tape inside the sketchbook to protect your corners and neaten it up. 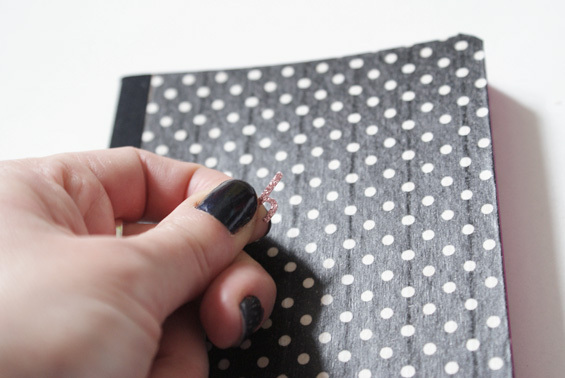 If you trim the tape flush to the cover, the tape will catch and peel more easily and wear quicker with time. No notebook is ready until it has a title on the cover! 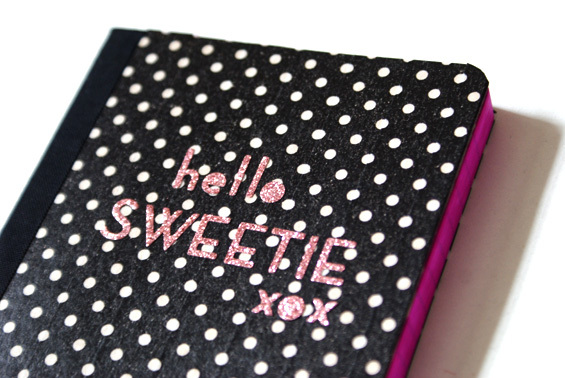 With so many different coloured and patterned tapes, stickers and marker pens available you’ll never run out of ways to decorate your notebooks again. 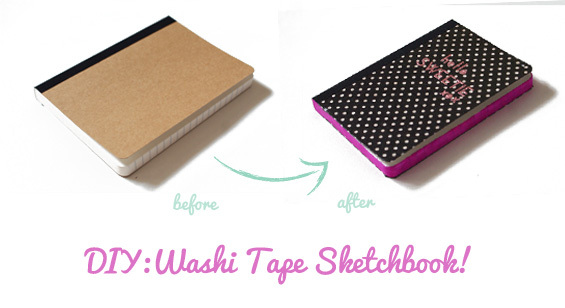 Say farewell to ordinary notebooks and having the same as everyone else; Viva La Washi Tape Revolution! O My God. So simple and good to make. 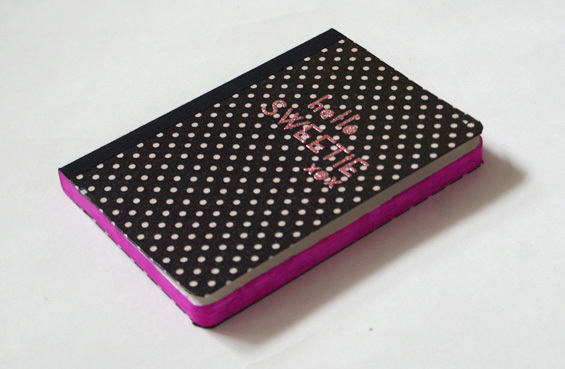 I have always dreamed of such a notebook and mini books but this one was really good one.